Make your business stand out from the crowd. Contact us today! Working on a job site? Running for office? 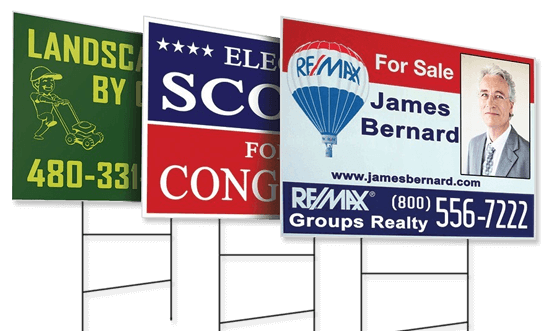 Lawn signs are one of the most popular types of signs for almost any use. Made from corrugated plastic, these signs are lightweight and mobile but don't fall short in marketing your company. Yard signs come with H-stakes so you can install them with ease.